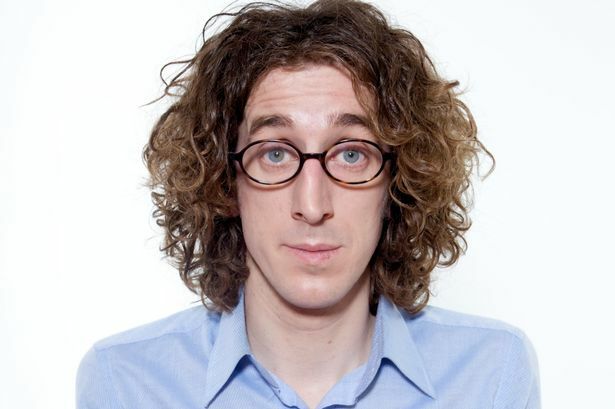 Award-winning comedian Tom Wrigglesworth is set to perform at a Birmingham comedy club. The Yorkshire funnyman will take to the stage at the Jewellery Quarter Comedy Club – held monthly at the Rose Villa Tavern, Jewellery Quarter – on Tuesday November 12. Now firmly established as one of the most original and talented comedians on the UK and international circuit, charismatic wordsmith Tom began his ascent up the comedy ladder in 2002. In 2003, he scooped first prize in Channel 4’s prestigious So You Think You’re Funny? competition and a year later he was nominated for Chortle Best Newcomer. Since then, he has continued to take the UK circuit by storm. He is a regular host of BBC Radio 4`s Comedy Club, and has also guested on Loose Ends, Newsquiz, The Unbelievable Truth, The Now Show, Act Your Age, It`s Your Round, The Infinite Monkey Cage and You & Yours as well as BBC Radio 2`s Out To Lunch and Claudia Winkleman`s Arts Show. Following the success of the live show, Tom Wrigglesworth`s Open Return Letter to Richard Branson was commissioned for a Radio 4 pilot. Tom has now recorded two full series of Tom Wrigglesworth`s Open Letters, for Radio 4, tackling consumer issues by writing to figure heads or `captains of industry`, and venting spleen over topics such as traffic wardens, estate agents, energy suppliers, and bank managers.